Current representative: The current representative for the 108th District is Rep. Beau LaFave (R-Iron Mountain). The district features Delta, Dickinson and Menominee counties. LaFave was first elected to the House in November 2016. According to his campaign website, LaFave received his bachelor's degree in international relations from Michigan State University. 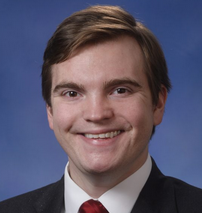 He was pursuing a law degree from Wayne State University Law School when he decided to run for the Michigan House. According to House Republicans, he is vice chair of the House Natural Resources Committee and a member of the Energy Policy, Insurance and Judiciary committees. A map of the 108th District is available here. Rep. LaFave raises money through a candidate committee, Beau LaFave for State Representative.